Join Airport Security Force ASF. 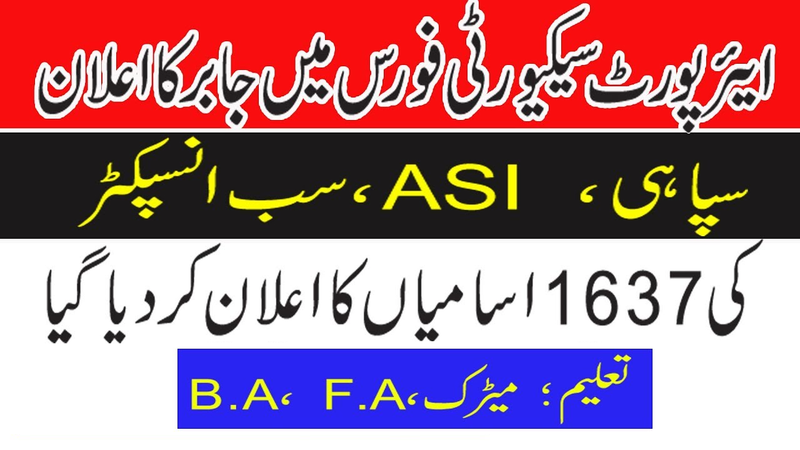 Airport Security Force ASF Latest Jobs 2019 published in daily Express newspaper on Sunday, 03 February 2019. 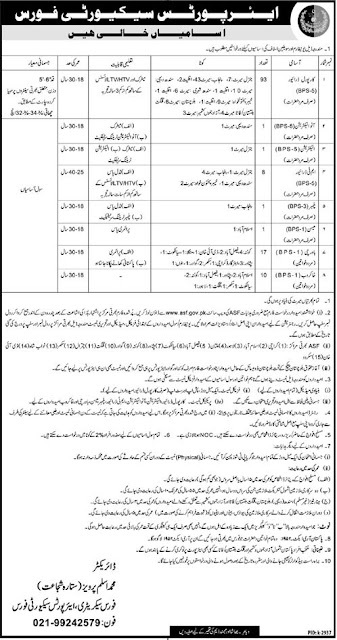 Airport Security Force ASF invites applications for the latest vacant postions of Uniform / Civilian Staff. Candidates can see more details and download application form from Airport Security Force ASF website www.asf.gov.pk. Candidates can send their applications within 15 days of publication date of this advertisement. Candidates should bring original documents for the registration. Karachi, Islamabad, Lahore, Multan, Faisalabad, Sialkot, Peshawar, Quetta, Gawadar, Gilgit, Chitral, Sukkur, Nawabshah, D.I Khan & Skardu.